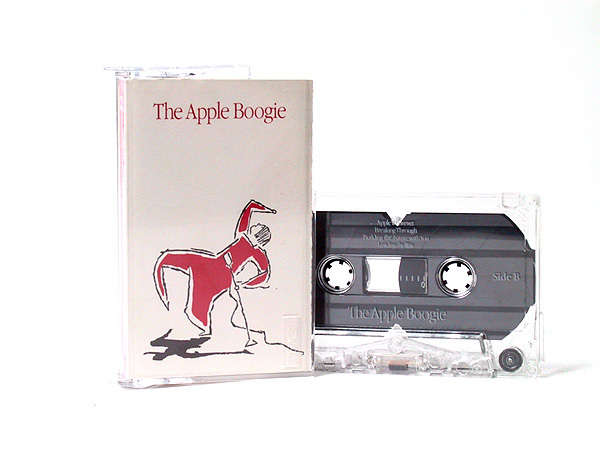 In our attempts to track down an Internet copy of Apple’s Ghostbusters spoof “Blue Busters”, we came across another piece of media that we had no idea existed until now — an Apple-produced music album: The Apple Boogie. 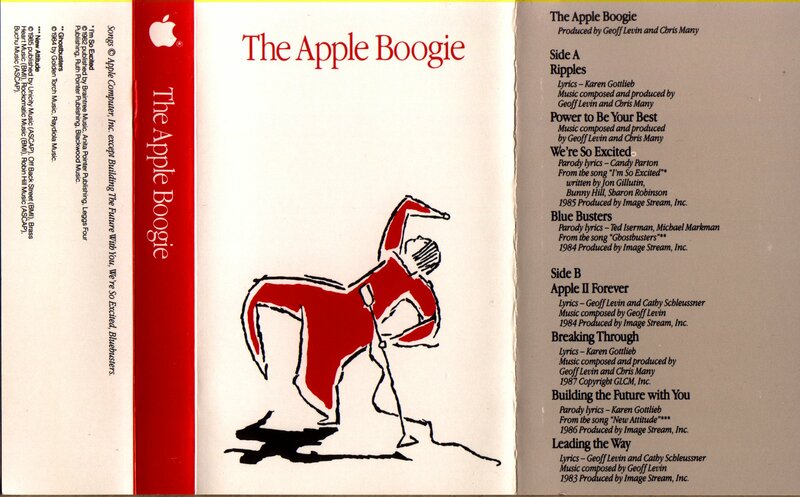 See, The Apple Boogie counts Blue Busters amongst its eight tracks and appears to have been handed out to attendees at another Apple sales conference in 1987 — meaning it has some catchy 80’s pop to serenade your ears. 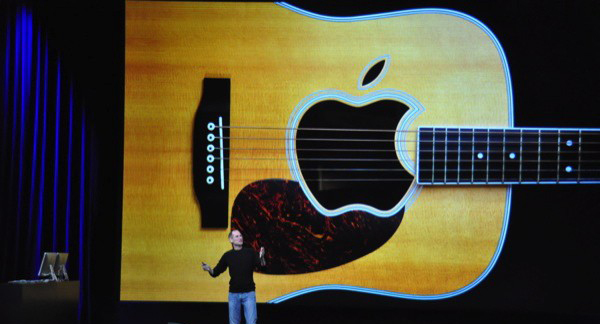 Lucky for us, The Apple Boogie was converted to MP3 over six years ago, in the age of dial-up, and uploaded to an Apple-centric website in South Africa. All eight tracks are listed, available for download, complete with covers and lyrics. The original cassette appears to be in limited supply also, with rare and out-of-print Apple stockist RedLightRunner selling out of the album. We have to say that Apple II Forever is our favourite — eclipsing even the epic Blues Busters. We managed to trace back the origin of the MP3 files back to this thread, which shows just how hard it was to share music in 2005.